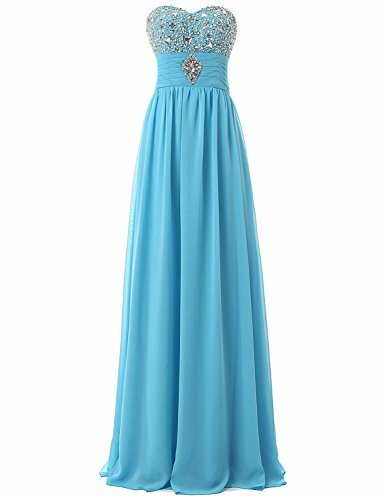 Clearbridal Women’s Vintage A-line Prom Evening Party Dress Chiffon Wedding Dress for Girls Sky Blue CSD128 UK18. ❤ Hand-made design makes the dress appropriate for a Prom, a Wedding, an Evening party, or other occasions. Material: Chiffon, Back: Bandage. Convenient and Comfortable to Wear! Style: A-line, Applique, Crystal, Length: Maxi.Simple and Elegant!